Single-row Contact Ball Type /Non-gear are large-sized bearings specifically designed to accommodate oscillating movements. They are comprised of an inner ring and an outer ring, one of which usually incorporates a gear. Contact Ball Type Slewing Bearing /Non-gear raceways, in conjunction with the rolling elements (and cages or spacers), are designed to accommodate loads, acting singly or in combination, and in any direction. Integral synthetic rubber seals effectively protect the bearing from the ingress of foreign matter, as well as prevent the escape of grease. 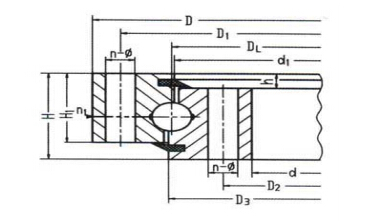 Compared to the traditional pivot arrangement, Single-row Slewing Bearing /Non-gear have many design and functional advantages. The assembly is much more compact and its hollow centre permits the installation of driving mechanisms and the passage of various control devices; the superstructures of the rotating part are more easily accessible. The small difference in height between the geared ring and un-geared ring reduces the overhang of the driving pinion. Looking for ideal Single-row Contact Ball Type /Non-gear Manufacturer & supplier ? We have a wide selection at great prices to help you get creative. All the Contact Ball Type Slewing Bearing /Non-gear are quality guaranteed. 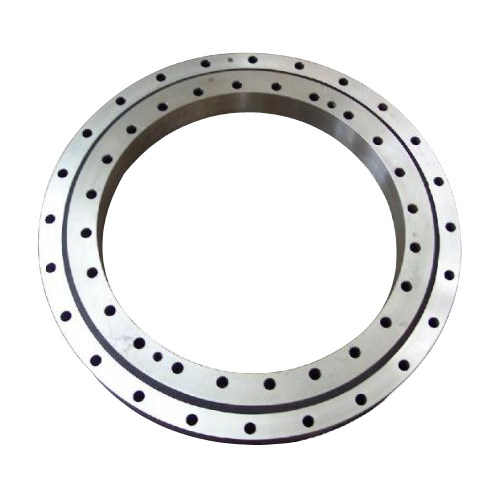 We are China Origin Factory of Single-row Slewing Bearing /Non-gear. If you have any question, please feel free to contact us.